When David Dow took his first capital case, he supported the death penalty. He changed his position as the men on death row became real people to him, and as he came to witness the profound injustices they endured: from coerced confessions to disconcertingly incompetent lawyers; from racist juries and backward judges to a highly arbitrary death penalty system. 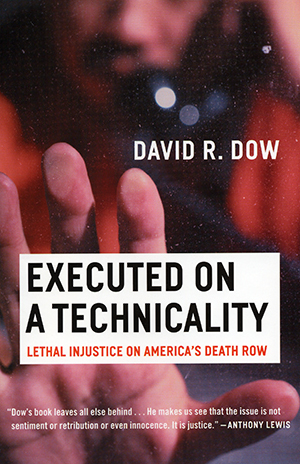 It is these concrete accounts of the people Dow has known and represented that prove the death penalty is consistently unjust, and it’s precisely this fundamental—and lethal—injustice, Dow argues, that should compel us to abandon the system altogether.